The photography is amazing also! By not taking risks, you never really discover your true self. It’s only ever about doing what is safe and easy but how will you ever know what really makes you tick if you’ve never tried it. Travel will push you into a flurry of seemingly uncomfortable situations like forcing you to meet new people with completely different lifestyles and cultures. A regular routine builds strong neurological connections that over time allow for us to automate activities almost seamlessly. Think about that journey to work where not a thought is spared on the direction, forced into the present only by an obstruction. A constantly new horizon continually breathes new experiences and with in those we truly live in the moment, we are gifted with the present. With nothing but your backpack filled with essentials you venture out into new cultures without access to the usual facilities and material objects you might usually take for granted. Many people live in the type of poverty that is truly unfathomable until you experience it first . Statistics are numbers and individual stories remain unheard. A culture shock can only positively affect you, it compels you to give back, to help out and to appreciate in innumerable ways the lifestyle upon return. Travelling is often postponed with the intentions of ‘becoming a responsible adult’ or ‘building up a real life’ in the mean time. Some even say they are savouring the opportunity for retirement. Without injecting too much personal opinion, that’s just the views of society’s norm being expressed by those who are already deeply conforming. It is your choice to live how you wish..
PND hosts the Floating Seahorse which are floating/underwater homes that will leave you breathless. Take a minute to read this article. More details of the properties for sale can be found here. Placencia is a gorgeous emerald peninsula in southern Belize with 16 miles of sandy beaches. The Caribbean sea is to the east and the charming Placencia lagoon lies to west looking towards the Maya Mountains on the mainland. Placencia is essentially divided into two parts: south of the airstrip and north of the airstrip. The entire peninsula can be easily navigated on a beach cruiser bike. The busy part of Placencia lies in the south where the visitor will find the greater concentration of coffee shops, bistros, internet cafes, the harbor, guest houses, taxi and bus station, banks and local restaurants. 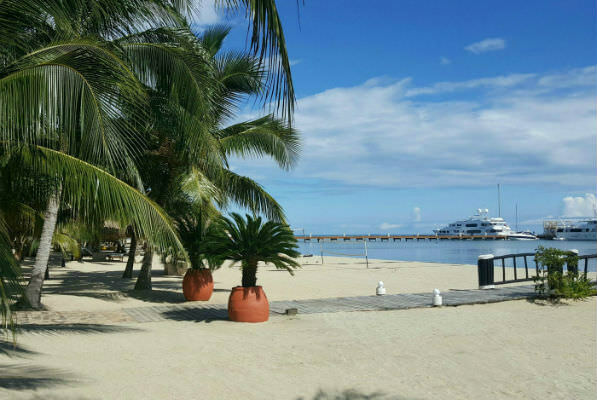 Whether simply for a vacation or perhaps a real estate investment please consider staying at The Placencia Hotel & Casino. A three-hour flight from Hong Kong, Phuket offers something for everyone – from backpackers to billionaires. Luxurious resorts boast state-of-the-art facilities, sumptuous suites and swanky spas in palatial surroundings, while budget travellers can still find rustic huts for 1,000 baht (HK$225, US$29) and campsites costing 300 baht for two people. Give your wallet a workout at some of the island’s stylish eateries or fill up on freshly cooked pad thai and sickly sweet banana pancakes with condensed milk from street vendors for 100 baht.